Blame it on our fancy new couch. 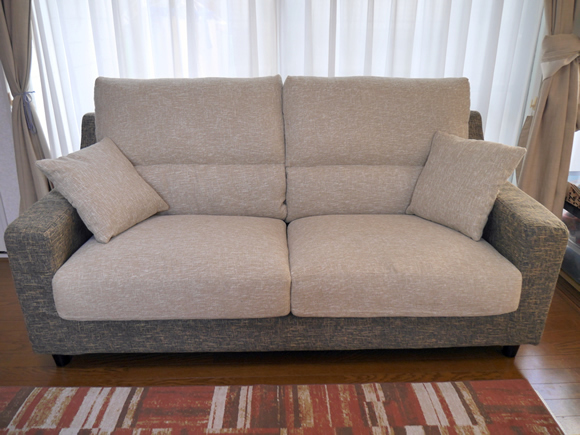 In fact, I had been planning to write a more meaty post about the process of bilingual development…but when our new couch arrived on Wednesday afternoon, I got completely distracted. You’re probably thinking I was sprawled out on this fancy couch for the rest of the week, nibbling crackers and caviar, but I swear that isn’t true. You see, when the new sofa was delivered, our old couch was taken away at the same time, to be discarded. 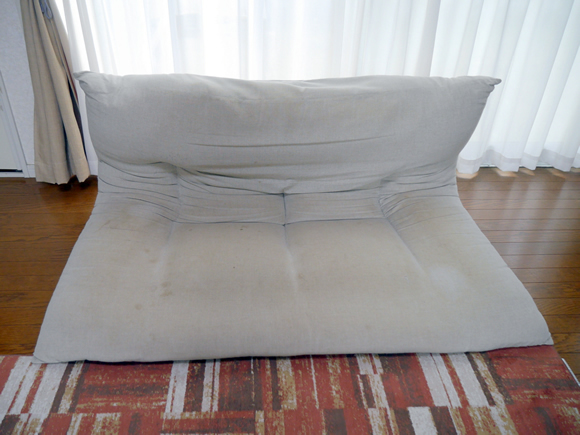 I know, by comparison, it’s a pretty sorry-looking little couch, but the thing is, I was more attached to it than I thought…because it was full of stains. 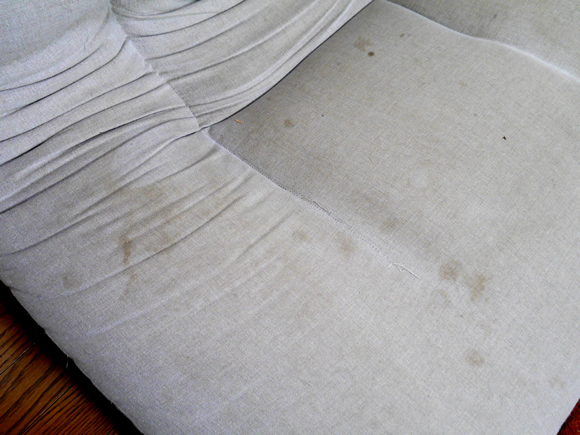 Now I realize that stains aren’t usually a very positive feature in a sofa, but these stains were actually a kind of time capsule of the past 10 years of my children’s lives. (They’re now 13 and 10.) The old couch may have been far less fancy than the new one (fancy furniture + small kids = large frustrations), but my children spent a big part of their early years sitting on it, lying on it, jumping on it, fighting on it, crying on it, spilling things on it, drooling on it, sweating on it, even bleeding on it. So when the delivery men hauled it away and shut the door, leaving me alone with our fancy new couch, I slumped down on it and sighed. Then, with a few sniffles (I confess), I shuffled into my little home office and began gazing wistfully at old photos and videos on my computer. The fact is, I hadn’t looked at old photos and videos in quite a while, and seeing them was a small shock. These childhood years are passing by so quickly, too quickly, and I admit to now feeling deeply nostalgic for the frequent temper tantrums that erupted from Lulu on that old couch (code-switching wildly as she shrieked) and the time Roy lay on it and wailed after stepping on the jagged metal of a tape dispenser that nearly took off his toes. Funny how the things that once seemed so unpleasant…I now kind of miss. Anyway, when I began this blog six years ago, I made a pledge to protect their privacy, at least to a reasonable extent, by not revealing their real names or posting photos of them that would show their full faces. As time has passed, I’ve bent this rule a bit, on occasion, by sharing photos from long ago (since they now look quite different). How Do You Spell B.I.L.N.G.U.A.L.? Fun photos from the past are used to illustrate some of the basic elements that have made up our bilingual journey to date. Watch this video, and many more, at Bilingual Monkeys TV (my YouTube channel). 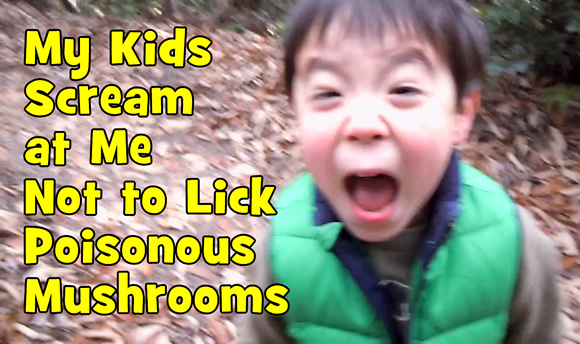 Want to see more fun videos of my kids? How about you? Feeling nostalgic about any aspects of your experience as a parent? Mei, it was great to hear from you! It’s been so long since we met up in Hiroshima. At some point, I hope I can bring us all to Singapore for a visit! In the meantime, I send warm, happy wishes right back to you and your family! Adam, your kids were screaming so loud my daughter spilled the jar of glitter dust she was working with! I for my part am nostalgic about our old apartment which we had to leave when my daughter had just turned 6. I have all those memories of her there as a baby (including my few precious months of maternity leave), and she won’t even remember the place a couple of years down the road. Sorry about that glitter spill, Mayken! As for our children’s memories of their childhood, I guess the best we can do (apart from providing them with some photos and video as visual reminders) is to put our heart into shaping warm moments, day by day, that will glow in their memory far beyond the childhood years. I showed this video to my twins who are 4 years old and they said it was “very very very very funny”! They laughed a lot and said they wanted to visit you to hear Roy and Lulu scream in person (of course I had to explain that this was from a few years ago). many thanks for posting the clip. Paul, I’m happy to hear they found it so funny! And in fact, my kids may be older, but they’re still pretty good at screaming so your children are welcome to visit, anytime, to listen to their ear-splitting shrieks. Guest Post: Yes, You Will Have Haters. Keep Speaking to Your Kids In the Minority Language Anyway. How Many Books Do You Have In Your Home? Have You Failed at Raising a Bilingual Child?